Should Any Democrat Call Themself A Ron Paul Supporter? Some Democrats cheer Ron Paul because of his devastating critique of crony capitalism, his equally trenchant challenge to imperialistic wars and his opposition to the National Defense Authorization Act provisions that pose a threat to our civil liberties. But just because Ron Paul opposes crony capitalism, imperialist interventions in foreign countries and government over reach doesn’t mean he has a liberal or progressive bone in his body. As anyone with a blog, YouTube account, MySpace page, or web site knows Ron Paul supporters are everywhere! The internet is filled with them. The frightening thing that I have witnessed is that many liberal voters are giving some credence to Ron Paul’s campaign and message. He somehow comes across as different or better than the run of the mill conservatives filling the Republican ticket. I do not support Ron Paul in ANY and I find his Congressional record and policies to be, at times, even scarier than his counterparts. The only thing that I have found to agree with him on is the fact that he does not support the war in Iraq. After extensive research I have compiled a list of 10 reasons NOT to vote for Ron Paul! Ron Paul does not value equal rights for minorities. Ron Paul would be disastrous for the working class. Ron Paul’s tax plan is unfair to lower earners and would greatly benefit those with the highest incomes. 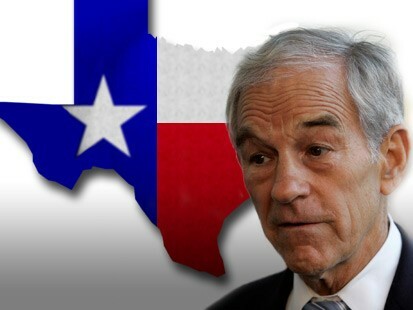 Ron Paul’s policies would cause irreparable damage to our already strained environment. A Ron Paul administration would continue to proliferate the negative image of the US among other nations. Ron Paul discriminates on the basis of sexual orientation and would not provide equal rights and protections to GLBT citizens. Ron Paul has an unnatural obsession with guns. Ron Paul would butcher our already sad educational system. Ron Paul is opposed to the separation of church and state. Read the detailed explanation of each of these 10 points at Addicting Info. But after studying the list for a while, I had to admit to myself that this list would be a good one for ANY of the Republican candidates this year. I initially had some doubts about a couple of the reasons -- numbers 6 and 8. There is no doubt that foreign policy under Ron Paul would be radically different than under the other Republican candidates, since he is an isolationist (and that is a ludicrous idea in this modern world). But all of the others would re-institute the Bush foreign policy, which was an abject failure and had even our friends angry with us. Truly, the foreign policy of any of the Republican candidates would create a negative image for the United States on the world stage. That list is a good one, and it provides some very valid reasons for not voting for Ron Paul. But it also provides some valid reasons for not voting for any of the Republican candidates. A Republican vote in 2012 is a vote for national disaster. In general, Paul’s commitment is only to limiting federal power, not proactively protecting individual rights. Paul is adamantly opposed to federal protections of civil rights from states or private enterprises. Paul says the Americans with Disabilities Act “should never have been passed,” because “it’s an intrusion into private property rights.” He even says he would have voted against the Civil Rights Act of 1964. If Congress passed the Employment Non-Discrimination Act to ban discrimination in the workplace on the basis of sexual orientation, Paul would presumably veto it. Paul also opposes abortion rights and says he wants Roe v. Wade repealed so the issue can be decided by the states. Since the foundation of the Supreme Court's Roe decision is the court's 1965 fundamental right of privacy Griswold v. Connecticut decision, Paul presumably wants that court decision repealed, too. In Griswold v. Connecticut the court found state laws forbidding the sale, purchase and use of books and products for the purpose of birth control were unconstitutional. Finally, as Ta-Nehisi Coates, a senior editor for The Atlantic, writes: Paul’s "Shaggy Defense" of his newsletters — which have garnered attention for their racist passages — is at best questionable.